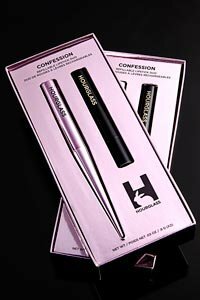 We’ll confess… we were pretty excited to see what Hourglass had planned for the holidays, and the brand’s seasonal collection didn’t disappoint. Housed in limited edition metallic pink packaging, the holiday collection features some seriously covetable launches, like exclusive shades of the brand’s best-selling refillable lipstick and a new Ambient Lighting Edit palette. See how Hourglass is celebrating the holiday season below. 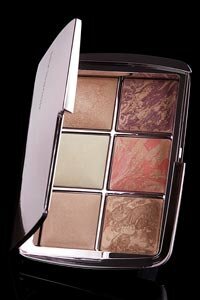 This single compact holds everything you need to highlight, contour, brighten, and finish your makeup. 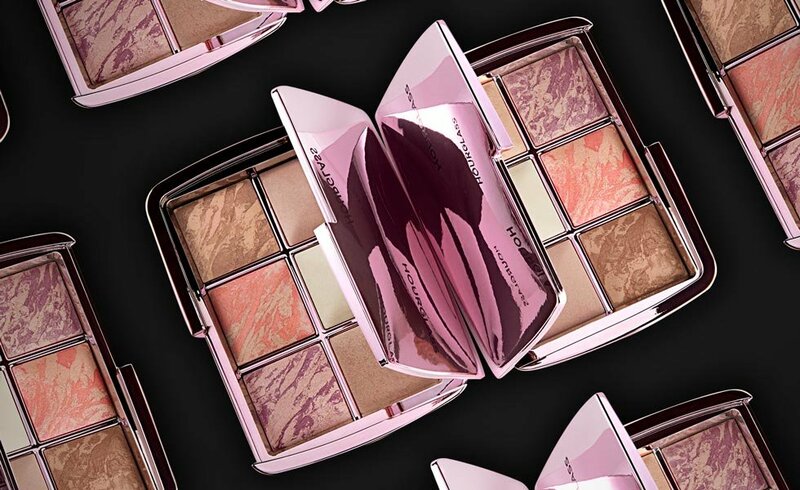 Situated within metallic pink packaging, Ambient Lighting Edit Volume 4 includes four best-selling shades from the Ambient Lighting line and two exclusive shades for a 100% vegan collection of skin enhancers. Formulated with groundbreaking photoluminescent technology, optically transparent particles refract light and minimize the look of imperfections for smooth, even-toned skin. The travel-friendly size fits easily into your makeup bag or carry-on, so you can take Volume 4 with you to your holiday destinations. Our motto: the more lipsticks, the merrier—especially during the holidays! That’s why we love this 15-shade set of lip colors from the Hourglass Confession Ultra Slim Lipstick collection. Formulated with intensely saturated pigments, each lipstick delivers long-lasting wear within a compact design that fits perfectly into any clutch. 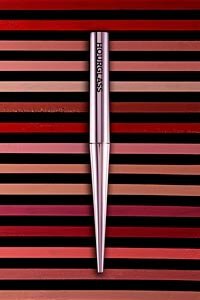 This collection comes with a limited edition metallic pink applicator which allows you to pop in your favorite colors and interchange shades depending on your mood—or holiday party outfit. The new Confession Refillable Lipstick Set features three best-selling shades of Confession Ultra Slim Lipstick, including I Woke Up, If Only, and I Can’t Live Without. 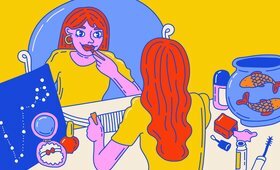 These long-wearing, pigment-rich lipsticks come within a cute metallic pink storage box to match the refillable applicator, making it the perfect gift for a friend—or yourself. This lip color duo features one best-selling shade (At Night, a rich brick red) and one new exclusive shade (My One Desire, a muted dusty mauve) of Confession Ultra Slim Lipstick complete with the holiday collection’s signature metallic pink applicator.